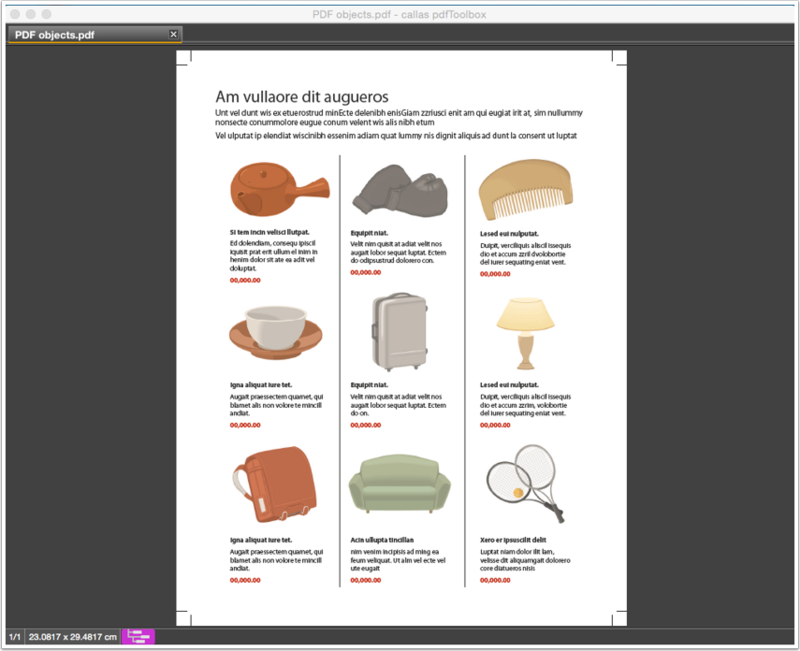 How to remove objects in a PDF document except of text and vector objects? How to remove objects in a PDF document except of images? 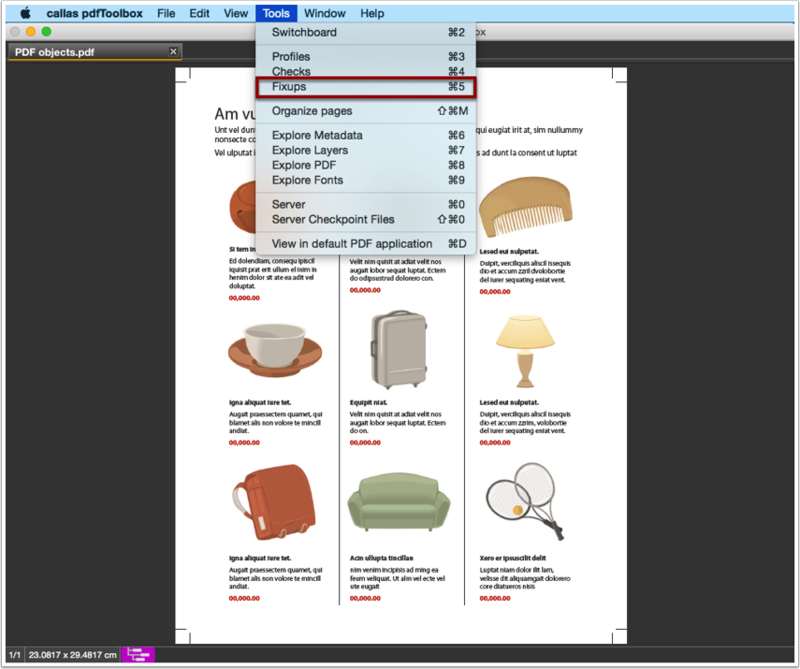 The PDF document has text objects, vector objects and images. 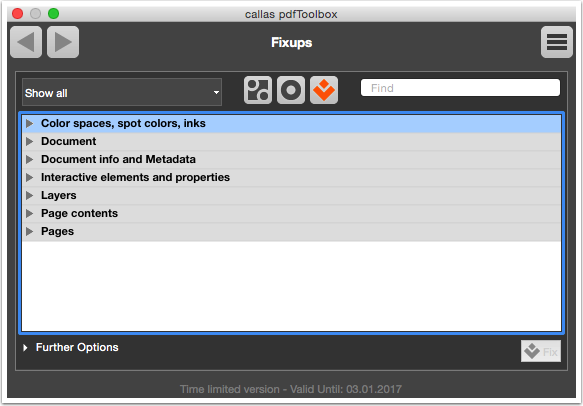 Choose "Create New callas pdfToolbox Fixup". 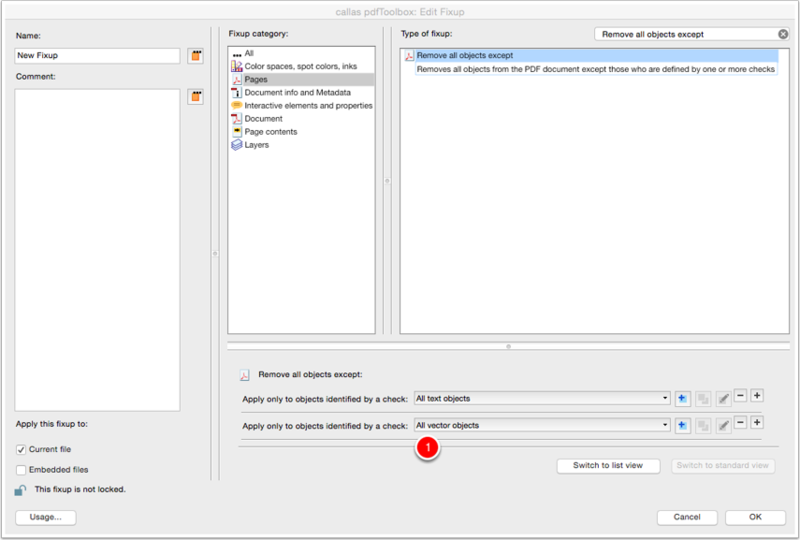 In the search field search to "Remove all objects except"
Select the "Remove all objects except" Fixup. 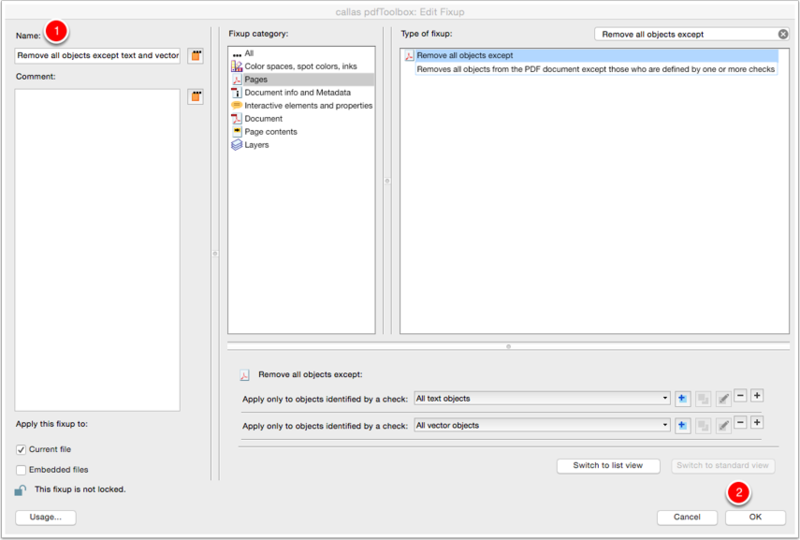 Click on the "plus" button to add a second check. Change the Fixup name into "Remove all objects except text and vector". 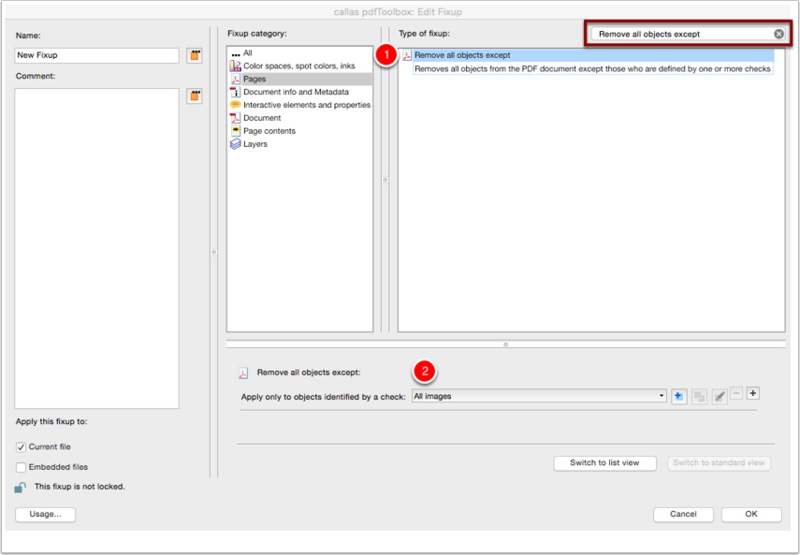 Change the check into the Fixup. Change the Fixup name into "Remove all objects except images". 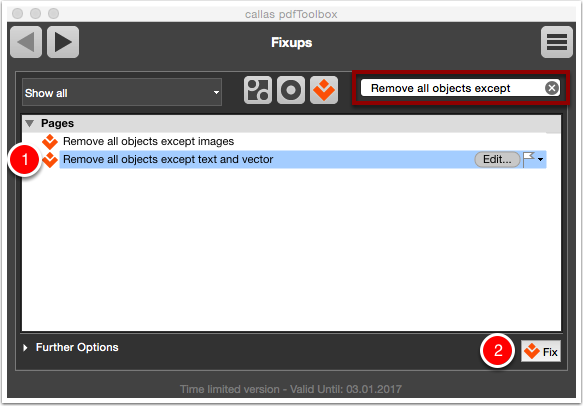 Select the "Remove all objects except text and vector" Fixup. 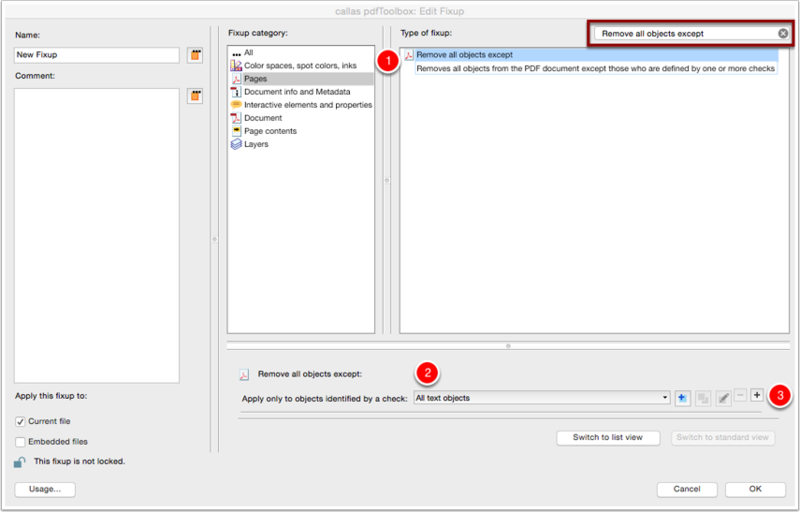 Click "Fix" to apply the Fixup on the PDF document loaded in pdfToolbox. Save the PDF document as "All objects removed except text and vector". 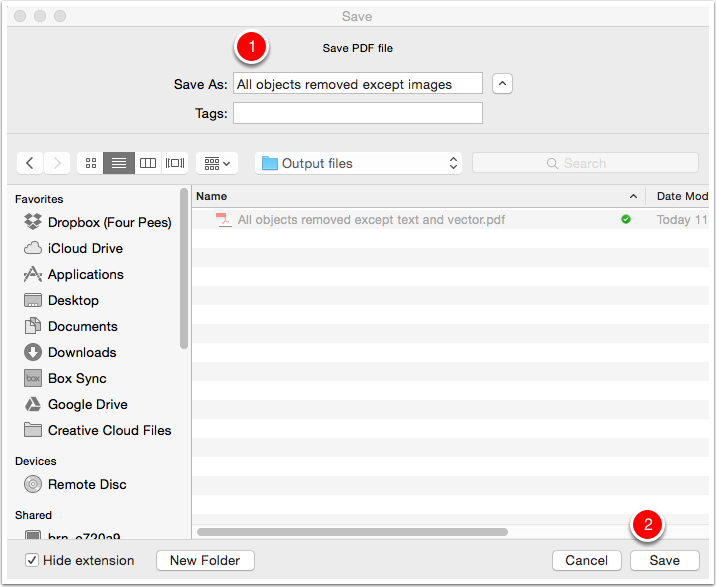 All the images in the PDF document are removed. 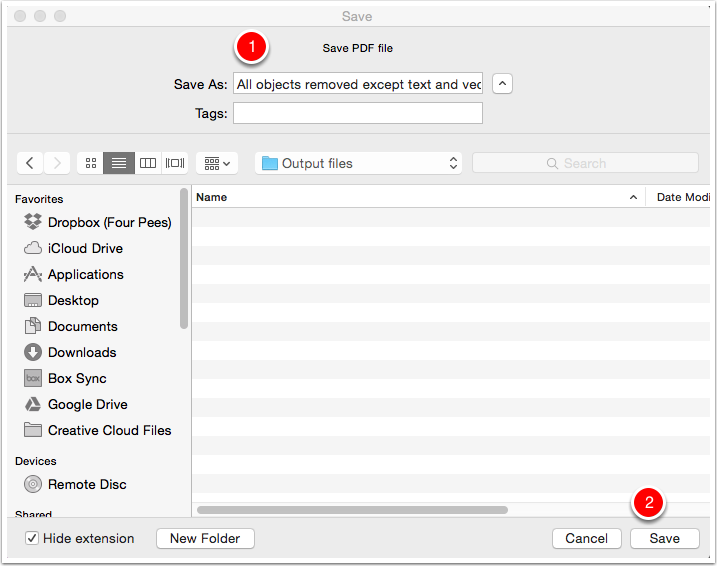 Click "plus" button to close the PDF document. 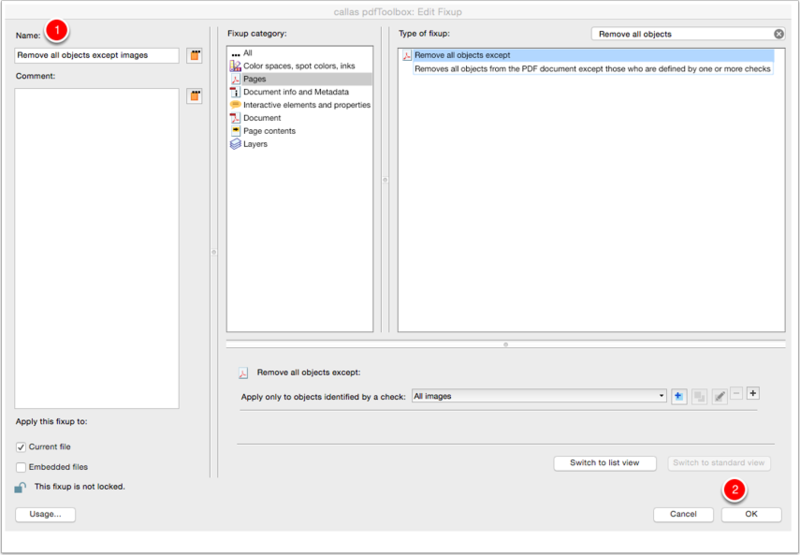 Select the "Remove all objects except images" Fixup. 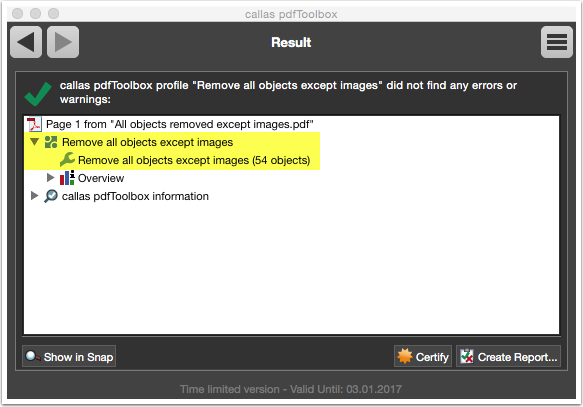 Save the output PDF document as "All objects removed except images". 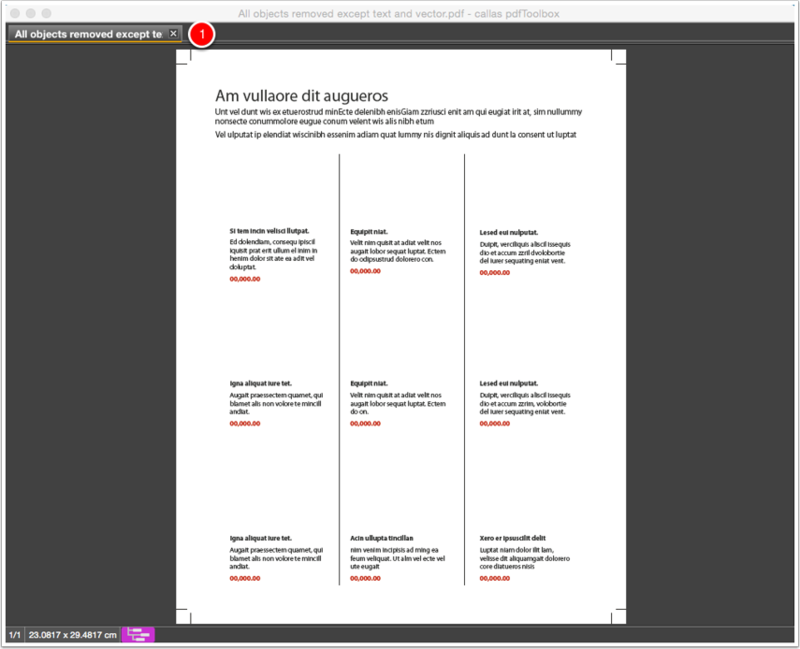 All the text and vector objects in the PDF document are removed.